As the first of what is expected to be a wave of mergers and acquisitions as company’s jockey for position in the newly legalized US sports betting market, Irish bookmaking giant Paddy Power Betfair Plc has acquired the privately held FanDuel website in a deal that now values the companies’ combined operations at $1 billion. Earlier this month the U.S. Supreme Court ruled the Professional and Amateur Sports Protection Act (PASPA) unconstitutional, in a dramatic move that sent shock waves through the industry. The case, Christi vs NCAA, pitted the state of New Jersey and its law legalizing sports betting against the National Collegiate Athletic Association and a consortium of professional sports organizations including the NFL, NHL, NBA and Major League Baseball, who sought to block the move. The NCAA won in the court of first instance and at the Third Circuit Court of Appeals forcing New Jersey, as represented by Governor Chris Christi to take the case to the Supreme Court. 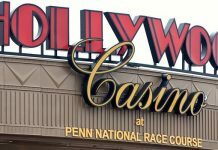 In the end the court ruled that PASPA violated states constitutional rights under the 10th Amendment, opening the floodgates on an estimated $4 billion legalized sports betting market across the United States. Paddy Power, traded on the London Stock Exchange with a market capitalization of $5.9 billion and some 7,640 employees, will now own 61% of FanDuel after contributing $158 million in cash and its US assets to the deal. 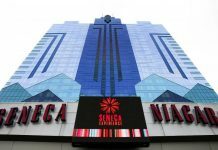 The agreement includes an option to increase its ownership stake to 80% in three years and 100% in five years according to Bloomberg. Fantasy sports site FanDuel was founded in 2009 and boasts over 7 million users betting on the NFL, MLB, NHL, WNBA, EPL and golf. The company’s existing users are said to comprise over 40% of the daily fantasy sports market in the US. The transaction combines FanDuel’s world-class technology, well-recognized brand, and large, highly engaged user base with Betfair US’s existing TVG horseracing betting network and media business along with its online casino business in New Jersey. The combined business is incredibly well-positioned to capitalize on the sports betting market opportunity in the United States, read the FanDuel press release. Paddy Power has been around since 1988 and is one of the giants in the UK bookmaking market, running some 500 betting shops throughout the UK and Ireland. Three years ago, Paddy Power merged with online betting business Betfair, who also holds TVG, a horse racing TV network that is nationwide in the US. Shortly there after Paddy Power acquired fantasy sports app Draft. FanDuel, thanks in large part to the U.S. Supreme Court decision, is set to be a strong revenue driver for Paddy Power across the US, despite having posted $37 million in losses last year on $124 million in revenue. 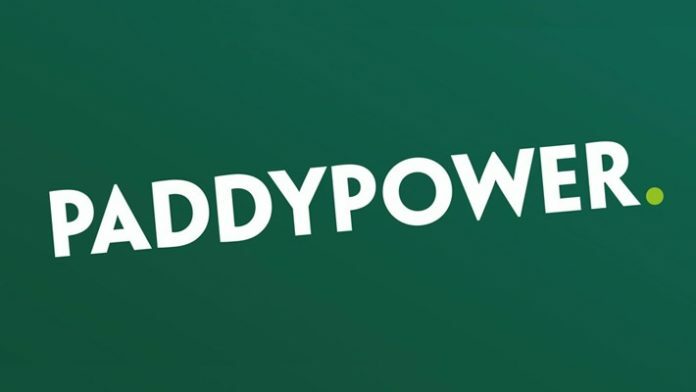 The acquisition will bring Paddy Power and FanDuel’s combined US revenues to $265 million, making it the single largest sports betting company active today, ahead of DraftKings, which posted $155 in revenue for 2017 and TwinSpires, who pulled down $132 million last year. On a call with investors as reported by Bloomberg, Jackson said his company’s position in horse racing, where it takes online bets for dozens of tracks, will give it a leg up. Jackson said he didn’t expect to change Paddy Power’s profit forecast as result of the FanDuel deal.